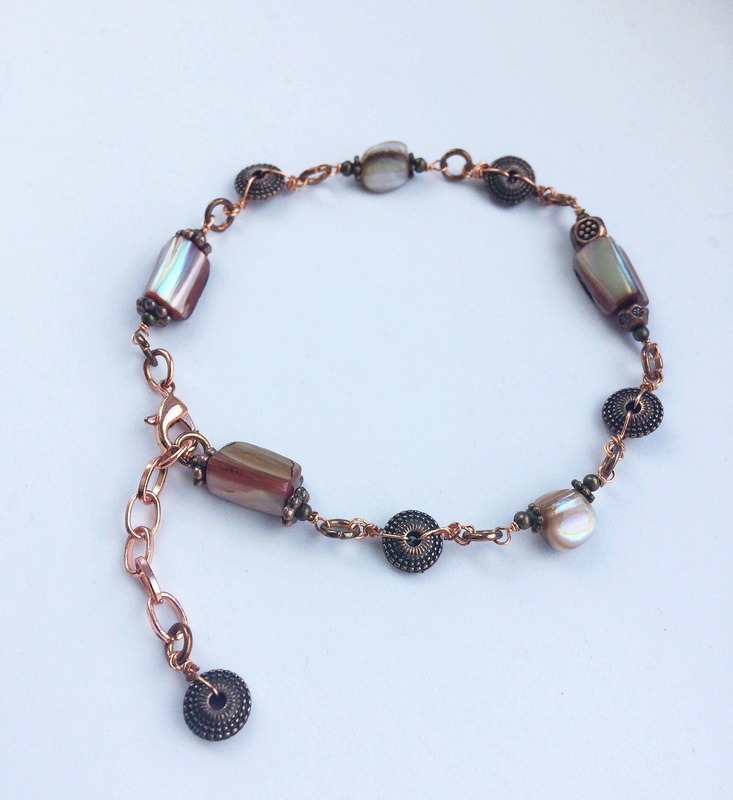 Rose gold bracelet featuring mother of pearl nugget beads and rose gold charms. The bracelet has an extender chain making it an adjustable size from 9"/23cm (including clasp) to 10"/25cm. This means it is a generous fit and can be worn lower on the wrist if preferred. 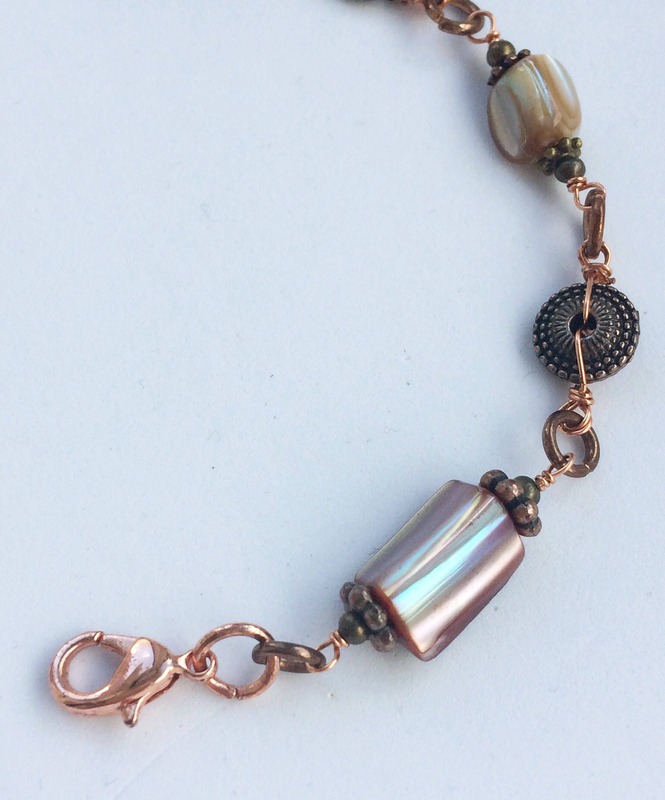 The bracelet closes with a rose gold lobster clasp. 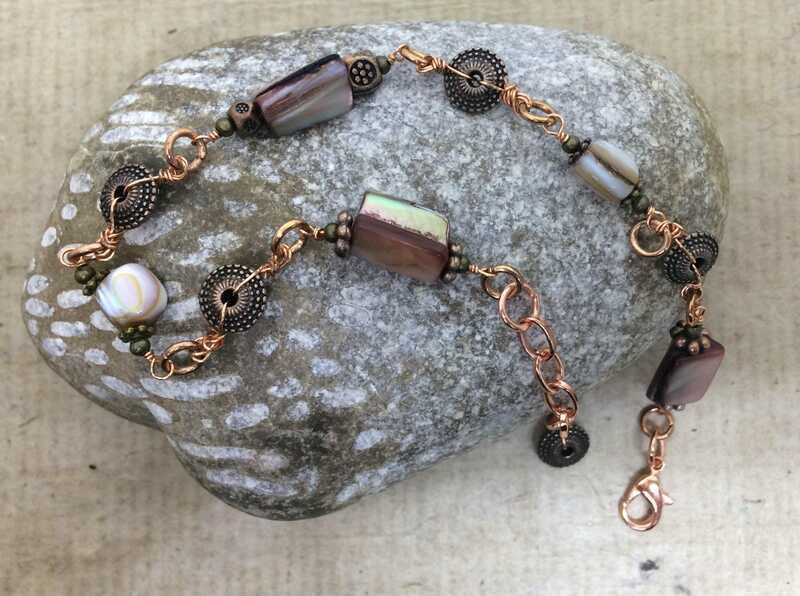 The beads are opalescent mother of pearl and they catch the light beautifully with a rainbow of brown, purple, cream, gold and pink colours. 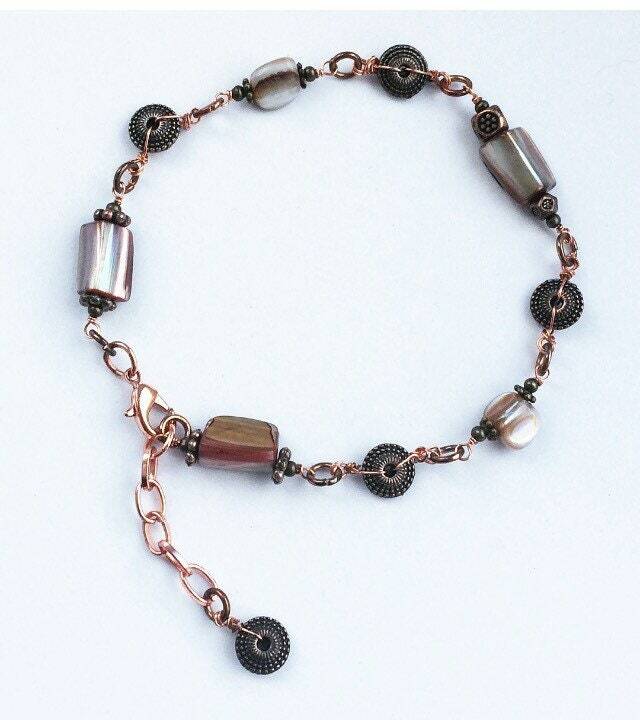 The bracelet is made up of individually wire-wrapped sections using rose gold coloured wire, The charms and beads are mixed metal in copper, rose gold and antique gold colours. Matching earrings are an optional add-on purchase with this bracelet and you can select to add them as an option in the listing. The earrings are affixed to antique gold coloured ear wires and have a 1cm drop. 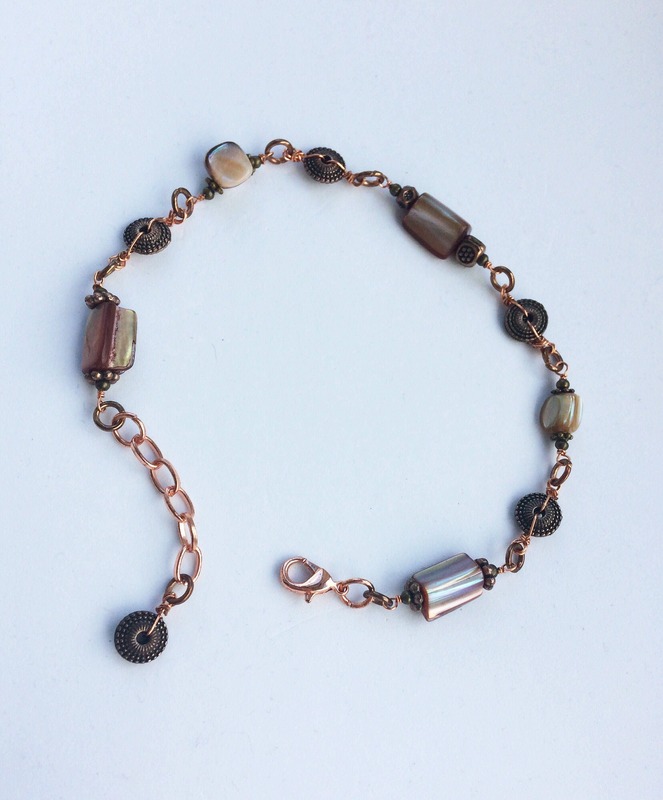 They feature the same mother of pearl nugget beads as the bracelet. 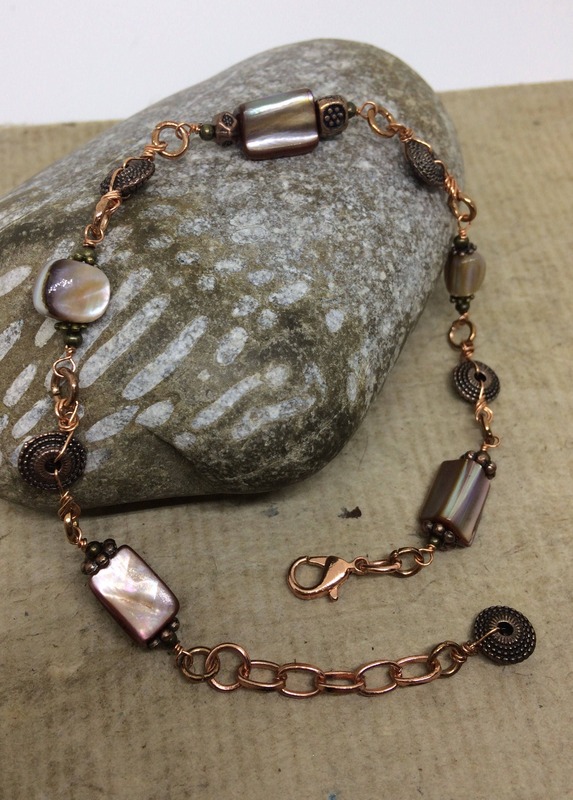 They also include rose gold and copper metal findings to match the bracelet. 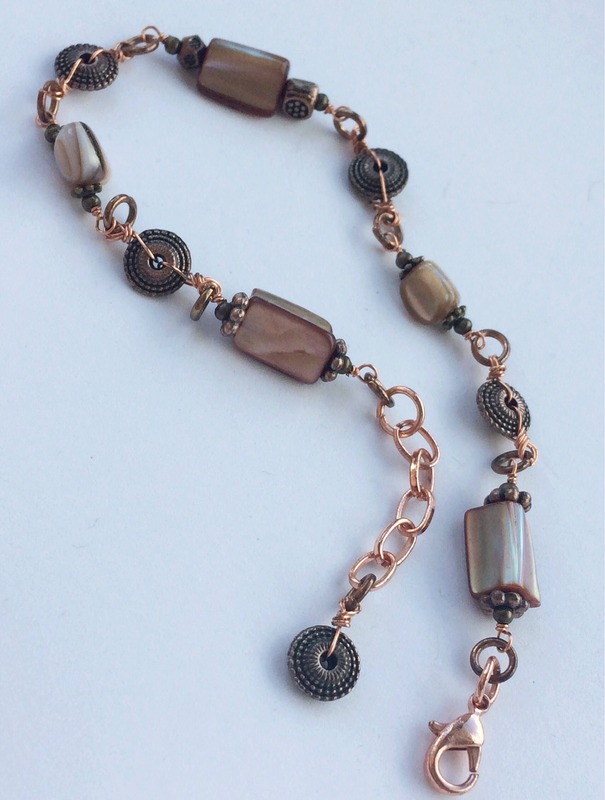 Mother of Pearl: This gemstone promotes intuitive powers and stimulates intuition. It is said to promote imagination in a healthy and positive manner.